Here is a study I have been working on. Revelation uses woes as markers or time stamps. The trumpets, seals and bowls are grouped within the 3 woes. The word Alas is translated from the same word in the Greek that is Woe. I have also noticed the great earthquake is always around the resurrection. There was a great earthquake when Christ was resurrected and there was an earthquake when the two witness were brought back to life. 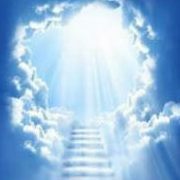 Revelation 8:13 And I beheld, and heard an angel flying through the midst of heaven, saying with a loud voice, Woe, woe, woe, to the inhabiters of the earth by reason of the other voices of the trumpet of the three angels, which are yet to sound! 1st woe devil is cast out and tribulation starts. 2nd woe resurrection/rapture. Babylon is judged. Revelation 11:14 The second woe is past; and, behold, the third woe cometh quickly. Revelation 18:10 Standing afar off for the fear of her torment, saying, Alas, alas, that great city Babylon, that mighty city! for in one hour is thy judgment come. Revelation 18:16 And saying, Alas, alas, that great city, that was clothed in fine linen, and purple, and scarlet, and decked with gold, and precious stones, and pearls! Revelation 6::17 For the great day of his wrath is come; and who shall be able to stand? Was looking twice. Did not register a hit. Checking to see if this works. Not saying this isn't correct, but how are you linking these as related events? I do believe the angel with the key to the bottomless pit has a specific job and I cannot see where this angel is Satan. Preceding, "The second woe is past; [and ], behold, the third woe cometh quickly." is the ministry of the two witnesses. Are you saying the two witness are a 'woe'? Or are you are maybe saying this, "13 And the same hour was there was a great earthquake, and the tenth part of the city fell, and in the earthquake were slain of men seven thousand: and the remnant were affrighted, and gave glory to the God of heaven." is the second woe? I have to agree here. Maybe I'm wrong but this would indeed be a great woe. I agree with the significance of the earthquakes, many miss this, imo. While there were indeed the quakes associated with the events outlined in your intro, what are your thoughts about the significance of the great earthquake mentioned here, Rev 6, " 12 there was a great earthquake;... 14 and every mountain and island were moved out of their places. ", and here, Rev 16, " 18 and there was a great earthquake, such as was not since men were upon the earth, so mighty an earthquake, [and] so great...20 And every island fled away, andthe mountains were not found."? I think the devil is the star that is cast down/falls and starts the tribulation. No, that the two witness ministry is during the 2nd woe which after they die they are resurrected with the great earth quake like when Christ was resurrected. The great earthquake is also a marker like the woes and links revelation to Matthew 24. I have to agree here.﻿ ﻿﻿﻿M﻿aybe I'm wrong but this wo﻿uld﻿ indeed be a﻿ great woe. I agree wi﻿th the﻿ significance of the ear﻿thquakes, many miss this, im﻿o.﻿ While there were indeed the quakes associated with the events outlined in﻿ your intro, what are your ﻿﻿﻿﻿thoughts﻿﻿ about the significance of ﻿the great earthquake mentioned here, Rev 6, " 12 there was a﻿﻿ great earthquake;... 14﻿ and every mountain and is﻿﻿land ﻿were moved out of their places. ", and here, Rev 16, " 18 and there was a great earthquake, such﻿﻿ as was not since men﻿ were upon the earth, so mighty an﻿ earthquake, [and] so great...20 And every island fled﻿ away, andthe﻿ mountains were not found."﻿﻿? 3rd woe/The earthquake is the rapture/ressurection of all Christian's including the 2 witnesses. Then begins the wrath. All of Gods Wrath comes from the Seven Seals. The SEVENTH SEAL is the 7 Trumpets, and the Last Trumpet or 3rd Woe is ALL SEVEN VIALS. So all of Gods Wrath emits fro the Sven Seals that Christ opens. Gods Wrath starts with the very first Seal, the Seventh Seal ends it all but alas, the Seventh Seal is 7 Trumpets, PLUS that Last Woe (7th Trumpet) is 7 Vials. Thus the Seventh Seal does end it all technically, the 7th Trumpet in Rev. 11 ends it all technically because it is the 3rd Woe which is all 7 Vials and the 7th Vial ends it all. You see in chapter 11, that is the story of the Two-Witnesses full 1260 day Ministry on earth, and even after they die, their prayers before they died, bring forth the 7th Trumpet (3rd Woe). Thus we are told Jesus takes OVER !! But its speaking about after the 7th Trumpet (3rd Woe) comes to pass, which is the 7 Vials. The Woes do not kick of the Tribulation however. The First Seal does. All of Gods Wrath comes from the Seven Seals. The SEVENTH SEAL is the 7 Trumpets, and the Last Trumpet or 3rd Woe is ALL SEVEN VIALS. So all of Gods Wrath emits fro the Sven Seas that Christ opens. Gods Wrath starts with the very first Seal, the Seventh Seal ends it all but alas, the Seventh Seal is 7 Trumpets, PLUS that Last Woe (7th Trumpet) is 7 Vials. Thus the Seventh Seal doe end it all technically, the 7th Trumpet in Rev. 11 ends it all technically because it is the 3rd Woe which is all 7 Vials and the 7th Vial ends it all. I think the terminology here is mixed up. It's the 70th week that begins at the 1st seal, not tribulation. It's the beginning of sorrows that is the first half of the 70th week, not tribulation. It is the A of D that begins GREAT tribulation. The 70th week is NEVER likened to 'tribulation' in all of scripture. Seals are opened and trumps sound in concurrent fashion. So as the seals are opening we are going to hear trumps. This is proven by the 6th seal, the wrath is come, and the 7th, or last trump, at which Jesus returns and we are gathered. So the 6th seal and the 7th trump virtually are the same event. I believe the beginning of the Seals are only the tribulation from my research including aligning revelation against Matthew 24. The Woes are only a timestamp to show where we are at in Revelation. Revelation jumps around and tells the same thing over and over. The woes can be used to sort through the different events that are told over and over. Here is what I have gathered just today by searching for Woes/Alas, Earth Quakes and Wrath. 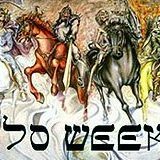 The 70th Week happens immediately after the Rapture, it is only the 70th Week of Israels JUDGMENT !! Remember? So this final week is designed by God to bring Israel unto repentance. Israel repents 75 days before the 1260 at the 1335 when the Two-witnesses show up. As per the 'Sorrows" that is the Church Age. It means of course "Birth Pangs" and the Church Age is the 2000 years of birth pangs that usher in r births the End Times 70th Week. The "First Seal" is Jesus allowing the Anti-Christ to come forth to Conquer, we know that happens in the Middle of the Week or at the 1260. Thus the Woman (Israel) needs to be protected for 1260 days in the Wilderness/Petra. The Abomination of Desolation (AoD) happens at the 1290, 30 days before the 1260 and 45 days after the 1335. The GREATEST TROUBLES EVER happen because Jesus releases the Anti-Christ to come forth via the First Seal. He kills 1.5 to 2 Billion people. The Seals and Trumpets do not happen at the same time my friend the Seven Trumpets come forth from the Seventh Seal !! The Wrath of God starts with the First Seal, but to people on earth its just "MORE WARS" like they have been used to ( see WW1 & WW2 etc.) so thy think nothing of it, the 5th Seal is all Jesus looking in supernaturally on the Beheaded. Not until the 6th Seal do people on earth realize they are in Gods Wrath, or the Day of the Lord, because they SEE the Prophet Joel's prophecy and he Rev. ch. six 6th Seal events coming to pass. But they were in the day of the Lord the whole time, which is Gods Wrath. The Seals....Trumpets....and Vials are not the same event. The Tribulation is one week long (i.e. seven years) broken into two parts at 3.5 years/42 months/times, time, half-a-time/1260 days, each part. There is nothing in earth's recorded history to compare to what's to come. That means, no one will doubt the end of the world is upon the earth. The first half is the Wrath of the Lamb. The second half is what the Hebrew scripture calls the Day of the Lord/Wrath of God. Jesus takes the 7-sealed deed to the earth. He is the only One who can open because ALL authority was given to Him and to Him alone. The first seal is the arrival of the Antichrist who wins first through diplomacy (no arrows), but because it's all a lie, he begins a global war, the second seal. As a natural course of the war, the third seal is opened unleashing famine and economic hardship. Next, the fourth seal is opened and because of the previous global events, death and hell come to claim their victims which also causes the animals to uncharacteristically attack en masse. Blaming those that don't follow, many martyrs will die with the opening of the fifth seal. Possibly due to global warfare, the sixth seal is opened and a worldwide earthquake that moves all mountains and islands out of their place because it's not a magnetic polar shift, but an actual polar shift (i.e. the north and south pole will become the equator) and since the equator is 20km wider than from north to south, everything will be moved out of its place due to centrifugal forces. Isaiah says the earth will be like a drunkard knocked out of its orbit. And since the heavens are snapped back into place (the heavens being stretched since creation - explains how galaxies billions of light years away can appear so in just 6 days, but that's another thread) everyone wants to hide in caves and the mountains because with the fabric of space/time ripped open to reveal eternity and Jesus on His throne. All this, and before the 144,000 are sealed! Until that happens there's no more wind on the earth. That means no weather patterns, no movement at all. What would you expect after tilting 50%! Finally, the seventh seal is opened and there's silence in heaven for 1/2 an hour. Like everyone taking an anticipatory holding of their breath to see what's next. With the last seal opened, Jesus takes owners ship of what He paid for 2000 years ago on the cross. An angle throws the coals of fire from the altar down upon the earth. The voices, thunders, and lightnings, another earthquake are mentioned and explained later. So, lo and behold, come the seven trumpets. The first trumpet is sounded and a Coronal Mass Ejection occurs and hits the earth. Some years ago, we missed one by just 3 weeks a few years ago. That's when seed vaults, movies, and construction of underground bunkers began in earnest. Look it up. A CME will hit the earth compressing the upper atmosphere to produce huge hailstones, but when it pushes through, it'll melt all the planes flying (hence the blood), and burn up a third of the trees and all green grass. The second trumpet sounds and a burning chunk of the sun (part of the CME) hits the sea killing a third of its life and third of the ships. Or it's a super-volcano eruption. Hard to tell what it could be because an asteroid or a meteorite wouldn't necessarily burn underwater but these are special circumstances. Anyhow, the third angle sounds and another mountain (3 now?) falls to the earth and destroys a third of the drinking water - as if we don't have enough to lose already. But this will also cause animals to attack too because they'll want fresh water as well. So the water wars by now will certainly happen. So with three mountains/stars falling to the earth, it will cause the fourth trumpet to sound cause the earth's rotation to change. Jesus said those days would be shortened so the earth's rotation will speed up by 8 hours making a full day only 16 hours (1/3 less) thereby shortening the time, but not the count of days and still make "day" and "night" a third less. Since they are time/based object, 24 divided by 1/3 is 8, so 24 - 8 = 16 hour days. Hence the reason the Antichrist thinks to change the times because everything is in utter chaos. I'll skip the rest of the trumpets, woes, thunders, bowls, and plagues. Upon reaching Revelation 11, we have a flashback. The temple is built, the Two Witness arrive and preach for 1260 days. When they are killed mid-week by the Antichrist (for no one before him could overcome them), Jesus warned Israel to flee to the wilderness for 1260 days for Jerusalem to be trampled for 42 months. Because of the earth's now-erratic orbit, and the shortening of the days (not able to keep time in check with a normal sunrise/sunset to go by), we now have the day in which no man knows the day nor the hour of Jesus' second coming. Besides, Jesus came to get His bride for the Lamb's Marriage Supper before all this chaos occurs. Oh, and not all Christians will be raptured, only those prepared and pure. That's how there are so many left to die on the earth, to prove they are Christians as martyrs. The Bride is pure and is taken before the tribulation begins. So, according to the timing of the Two Witnesses, they start they Tribulation period right with the treaty (covenant) by the Antichrist. They are killed in the midst of the week and the AC stops the sacrifices halfway through the 7-year period. Then Israel flees for 1260 days for when Jesus comes again to reign on the earth. A sincere question - I had a thought and would like to discuss it openly. Could it be that the "removal of sacrifice" as described in prophetic verses be attached somehow to the Rapture in addition to the Cross as the 'bookends' of the Church Age? Dan. 9:27 And he shall confirm the covenant with many for one week: and in the midst of the week he shall cause the sacrifice and the oblation to cease, and for the overspreading of abominations he shall make it desolate, even until the consummation (committee-bride), and that determined shall be poured upon the desolate. The cross occurs halfway through the 70th week, Jesus is removed, the Church Age BEGINS, the Church Age ENDS with the rapture and the remainder of the 70th week begins. Below, could it be describing the Church and/or Jesus? Daniel 8: 11 Yea, he magnified himself even to the prince of the host, and by him the daily sacrifice was taken away, and the place of the sanctuary was cast down. "knock and the door will be opened to you." Imagine this unprecedented event. Christians, from all over the world, united physically in congregations, united virtually through technology, united spiritually in the Holy Ghost, praying together with a clear, unified intention: shortening, hastening the Return of the Lord (2 Peter 3:12, Revelation 22:17, Revelation 22:20, Matthew 6:5-13, Luke 18:1-8) Wouldn’t the Lord be quick, in fulfilling their holy prayer? “[…] And the Lord said, “Listen to what the unjust judge says. And will not God bring about justice for his chosen ones, who cry out to him day and night? Will he keep putting them off? I tell you, he will see that they get justice, and quickly. However, when the Son of Man comes, will he find faith on the earth?” This is not happening yet, but we can make it happen. SUMMARY (You can freely download the pdf) 1 - Brief history of the Church 2 – God wants men to cooperate his plans 3 – The importance of prayer and the Lord’s prayer 4 – The Last Day 5 – While in the world 6 – Warnings 7 – Avoid misconceptions 8 – An unprecedented event 9 – SOURCES 1 - Brief history of the Church Along the history, many spiritual leaders did not listen to (Matthew 23:9-10) “And do not call anyone on earth 'father,' for you have one Father, and he is in heaven. Nor are you to be called instructors, for you have one Instructor, the Messiah.” Therefore, it comes as no surprise that many false teachings did spread for centuries. Nor it is a surprise that true Christians come to a better understanding of some concepts through centuries, because luckily some of them are able to get rid of the false teachings they have received. Indeed, luckily some listened to Matthew 23:9-10. Moreover, Jesus said (John 16:12): ”I have much more to say to you, more than you can now bear. But when he, the Spirit of truth, comes, he will guide you into all the truth. He will not speak on his own; he will speak only what he hears, and he will tell you what is yet to come.” Thus, an increasing understanding, founded on the Gospels and never contradicting them, is to be expected through history. 2 – God wants men to cooperate his plans Even though God could do everything alone, by not waiting his followers to align their will to His will, still he wants men to decide to cooperate with Him, to proceed in His salvation Plan. For those who knows the Scriptures, it’s not needed to quote the countless times in which God waited for men to turn to Him, and adhere His plan, before making things happen. Because being a loving Father, he doesn’t force His will upon men. 3 – The importance of prayer and the Lord’s prayer Point 2 on cooperation between God and men, is one of the reasons why Jesus stressed so much the importance of prayer. To be short, we only quote some passages, but there are countless ones in the Gospels alone: (Matthew 7:7) “Ask and it will be given to you; seek and you will find; knock and the door will be opened to you.” (John 16:24) “Until now you have not asked for anything in my name. Ask and you will receive, and your joy will be complete.” Of course, we need to make prayers aligned with God’s will. But even if something is already in God’s will, it’s really important for us to pray for it, because the Lord doesn’t want to force his gifts upon us, but He wants us to desire Him. Otherwise, there wouldn’t be any need for any prayer whatsoever. Now, what’s the only prayer that the Lord directly taught us? The Lord’s prayer. Let’s examine some passages: “your kingdom come, your will be done, on earth as it is in heaven.” […] “And lead us not into temptation, but deliver us from the evil one.” Now, let’s think about it, by knowing the Scriptures. When and how can the Lord completely fulfill these requests? Could they be fulfilled while we are still on earth? 4 – The Last Day It doesn’t take a leap of imagination, to realize that the Lord’s prayer promises will be fully fulfilled only with the Rapture and His Second Coming. [Even the only apparently not messianic request about the “bread”, is translated somewhere as “the bread of tomorrow”, thus indicating the bread of the Kingdom.] Now, it’s not a purpose of this work to choose which interpretation of the Second Coming is more Scriptural. Whatever it is, pre/post/multi/anti/tribulation,this is not the point here. The point is that only in the Last Day, the Lord will fully fulfill the Lord’s prayer requests. Now, are we aware of this? Are we, most Christians, praying that prayer with full intention and awareness, with the awareness that we are asking the Lord, according to His will, to shorten the days of His coming? It doesn’t seem like this awareness has been fully reached so far, but now the times may be arrived. Now this intention can be shared to Christians all over the earth. And it’s nothing new, it’s something fully Scriptural (2 Peter 3:12, Revelation 22:17, Revelation 22:20, Matthew 6:13), it’s just a better understanding of the power of our prayer in the name of Jesus. We are not predicting the day or the hour, and we’ll never try to do it. There is no needing of knowing the day nor the our, to ask the Lord to come quick, according to His will. How powerful would be this prayer, shouted by all His elects? What if some wise pastors could be able to share this intention to Christians all over the world, and all together we could pray “Come”, and “Deliver us from evil”, with the full understanding that we are asking for the Rapture, instead of passively waiting for it? This would be an unprecedented event in History, since so far most Christians have passively waited for it 5 – While in the world Asking for the rapture, doesn’t cut off any obligation for a true Christian life. Before Jesus returns, we’ll still have the obligation to love everyone, serve other people, improve the society, improve ourself, spread the Gospel. All of these commandments are in the Gospel and are immutable. At the same time, with this prayer, we clarify our intention to God, we tell Him that we are ready, and it is now time for our plans to align with His plans, and that we fully want and responsibly request His return for the elects. 6 – Warnings Unfortunately, there will always be some Christians who don’t really want the Lord to come soon. They are not excited at all about Heaven. Exactly like in these Parables: (Luke 14:15-20) “When one of those at the table with him heard this, he said to Jesus, “Blessed is the one who will eat at the feast in the kingdom of God.” Jesus replied: “A certain man was preparing a great banquet and invited many guests. At the time of the banquet he sent his servant to tell those who had been invited, ‘Come, for everything is now ready.’ “But they all alike began to make excuses. The first said, ‘I have just bought a field, and I must go and see it. Please excuse me.’ “Another said, ‘I have just bought five yoke of oxen, and I’m on my way to try them out. Please excuse me.’ “Still another said, ‘I just got married, so I can’t come.’ (Luke 19:14) "But his subjects hated him and sent a delegation after him to say, 'We don't want this man to be our king.' (John 12:43) “For they loved the praise of men more than the praise of God.” But other Christians who aspire to Heaven, would have no reason to not pray this prayer. In the worst case, it will have no effect. In the best case, how glad we will be, to see the Lord coming quickly for us. 7 – Avoid misconceptions Q: “Does praying the Lord to come quickly mean that we don’t trust His promise that He will come?” A: “Absolutely not. The Lord knew the future. He knew about the prayers from His elects, and that he wouldn’t wait to fulfill them. Exactly as in countless other situations, in which the Lord has waited for men to ask Him for what is good. (Matthew 15:21-28). We are sure that His promise will be fulfilled, but we want to be among the ones that have aligned with His will and asked Him to fulfill it quickly.” Q: “Are we forcing the Lord to do something not in His will? Doesn’t He know the Right Time?” A: “He knows the Right Time, and we don’t know according to which criteria He has decided it. But according to the prayer He taught, when He decided it, part of the weight for the decision, came from considering the prayers of His elects (2 Peter 3:12, Revelation 22:17, Revelation 22:20, Matthew 6:13, Luke 18:1-8). Exactly as in other situations, He gave importance and weight to the will of his disciples and prophets, when aligned to His will” Q: “Are Christians praying this prayer exempt to contribute to society, and to spend their lives serving others until the Lord come?” A: “Absolutely not. A real Christian will follow all Jesus words,not only ones about prayer,respect the laws of his country, and will spend His life helping other people, so that when the Lord will come, he will find him ready.” (Matthew 24:45-51) “Who then is a faithful and wise servant, whom his lord hath made ruler over his household, to give them meat in due season?Blessed is that servant, whom his lord when he cometh shall find so doing. Verily I say unto you, That he shall make him ruler over all his goods. But and if that evil servant shall say in his heart, My lord delayeth his coming; And shall begin to smite his fellowservants, and to eat and drink with the drunken; The lord of that servant shall come in a day when he looketh not for him, and in an hour that he is not aware of,And shall cut him asunder, and appoint him his portion with the hypocrites: there shall be weeping and gnashing of teeth.” Q: “Will shortening the return of the Lord prevent some people from salvation?” A: “First off, remember that there will never be a moment on earth in which everyone will be Christian, before the rapture. It is not written anywhere. On the contrary, it is written about an increasingly diminishing of faith. Moreover, people who haven’t met Christ but are seeking for the Truth in their hearts, and are loving their brothers, will be likely raptured too. Exactly as some other righteous people like Socrates, will be raised in the last day, while evil people who are not seeking for repentance because they don’t have the seed of repentance in their hearts, will be left. Therefore, there is no such risk in shortening the day. Otherwise, the Lord wouldn’t have taught us this prayer.” Q:”What about theological and philosophical implications of this event Why someone is taken and someone else left?” A: “These are not treated here. They will be treated in other works, and some wise pastors will be able to answer this, by following the Scriptures” 8 – An unprecedented event If most Christian living today will share this intention, and pray together for it, this will be an unprecedented even in the history of the world. If the rapture happened centuries ago, it would have likely remained unexplained and not testified everywhere. But nowadays, thanks to technologies and to the Gospel spread everywhere, it will be testified to people of all nations, and everyone will know what happened. Now, our hope is that some wise Christian, who spent their lifes in the hope of Jesus’ Return, will actively spread this prayer and this intention among other pastors and Christians, so that all of us may be reunited under the Lord’s prayer, and pray together, with full intention and understanding and without the usual countless distractions and desires: Our Father, who art in heaven, hallowed be thy Name, thy kingdom come, thy will be done, on earth as it is in heaven. Give us this day the bread of the Day that is coming. And forgive us our trespasses, as we forgive those who trespass against us. And lead us not into temptation, but deliver us from evil. Maranatha. Our Lord, come! Things the Bible DOES NOT SAY about the End Times Notice, that this list, does not establish any end times theory, it tries to prove nothing. It does not even attack a theory, or attempt to refute one. What it does attempt to do, is to get people to ask themselves, why they believe certain things, that the Bible never says. So basically, in between the lines I am asking: If we believe certain things that are not stated in the scripture, and claim that we believe them because that is what scripture teaches, aren't we in principle adding to the words of scripture? Furthermore, if we teach these things as though they are true, does that make us false teachers? So, what things do I claim the Bible does not teach? Following is a short list: 1. It does not say there will be a Rapture of the Church, which occurs before the Great Tribulation. 2. It does not refer to a 7 year period as the Great Tribulation. 3. It does not say that the Holy Spirit is removed from the Earth at any time during the Great Tribulation. 4. It does not refer to the Great Tribulation, as the wrath of God. 5. It does not say that Jesus will return secretly or invisibly to take His Church. 6. It does not say that no man will ever know the time (the day or hour) of His coming. Daily Reading 36 If you prefer, you can look up the following verses in your own Bible, of by whatever means and in whatever version you choose. Hebrews 1 Genesis 45:1-46:27 Psalm 36 Audio 2:15 Audio 4:10 Audio 1:29 The above addresses are linked to Bible Gateway. That is an easy way to read (or listen to) the Bible verses, and choose your version. Personally, I prefer written, that way I can go at my own pace, on think about it, before moving on. Nothing wrong with doing either or both. The Bible says faith comes by hearing. See the picture below to get an idea of what to expect if you follow the above links. Note: The audio will not play the exact verses, it will play the whole chapters, in which the verses exist.